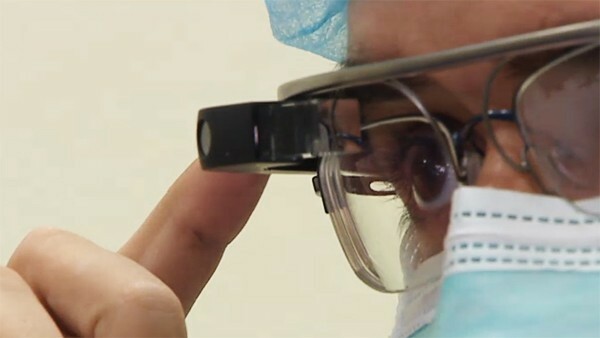 The first surgery in the world performed using Google Glass took place last week in Madrid, Spain. The actual operation was on a 49-year-old man who needed some work on his knee. Google Glass was actually used not as an aid during the operation, but to broadcast the procedure worldwide to a group of professionals. Around 150 people were able to follow the operation live, watching exactly what the surgeon was seeing, via streaming video thanks to Glass Streamer, the Google Glass app developed by the Spanish company Droiders. Now, I have always been very critical about Google Glass in general, and in particular about its use in daily life. This parody really sums up what I think. But when it comes to eHealth, I think there is huge potential for these kind of augmented reality devices. Not only in terms of learning, teaching and exchanging knowledge, but also for its use by (e)patients. For instance, as you may know my area of expertise is palliative care. This means the care of terminally ill people, who are often very limited in terms of movement and access to resources, especially when care takes place at home (research keeps showing that, given the choice, most of us would rather die in our own homes). So just think about the possibilities that these kind of devices could offer in the near future. Seriously ill people, and their caregivers, could have a much more direct interaction with their medical teams from a distance. For example, consider this scenario. Jane is at home with her partner Joe. Jane is very seriously ill: she is bedridden and has a bad ulcer that needs cleaning, and the dressing needs replacing. But Joe is unsure how to proceed, so he calls the nurse at the hospice. Joe can’t really explain very well how the ulcer looks, after all, it just looks bad. So the nurse finds it difficult to guide him, and the whole situation takes a lot of time and creates a lot of unnecessary stress on both sides. Now imagine that the hospice has given a pair of augmented reality glasses to Joe and Jane, the same way they have given them other special equipment. Joe uses the glasses to show the nurse how the ulcer is looking, so that the nurse is able to a) assess the actual state of the ulcer, and b) appropriately guide Joe through the process of cleaning it and changing the dressings. This may seem a futile example, but when one is at home alone, looking after a terminally ill relative, it is these little things that make a world of difference.